With the second season of The Crown airing this month, Americans are as obsessed as ever with the British monarchy. Give your students a taste with this romance story of an earlier queen - the beginning of the next generation of Anglophiles! Ask a student to define biography and you are likely to receive a list of elements to be included - early life, family, education, accomplishments. This week three of the five Minutes are biographical, and none are litanies of these elements your students will recite. Use the biographical Minutes to get your students to think about writing with a “lens,” - a focused idea through which a piece of a person’s life can be told. In this case, the story is told through a marriage. Look at other biographical pieces in the Minutes and have your students find the lens. When they are ready, have them write a piece of their own using a lens of their choosing. Use this Minute to introduce the period of British History from 1837 - 1901 known as the Victorian era. Check out the BBC’s articles on this period of history, and have students do parallel searches on what was happening in the US during this same period to compare and contrast. Take a closer look at the workings of the British monarchy. What other European countries still have monarchies? 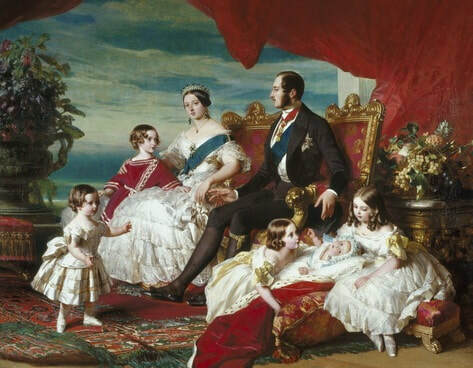 How much influence did Queen Victoria have over Britain’s government during her reign? What kinds of cultural influences did she have? Which were more significant - the cultural or political influence? Does a monarchy still make sense today? Why or why not? Author Warren mentions that Queen Victoria commissioned several monuments to honor her husband after he died. Have your students take a look at these monuments. What do they have in common? How are they different? Are all monuments statues? What else is considered a monument? Have students reach consensus through searching and conversation about the essential elements of a monument, then set about choosing a subject and designing their own monument to that subject. I must confess, the Victoria and Albert Museum in London, affectionately known as the V & A, is my favorite museum (of those I have visited) in the world. Have your students explore the museum virtually - they are in for a treat. This museum has online collections of architecture, opera, paintings, photographs, fashion jewelry, furniture and more. In addition, students can get more of the story behind the origins of the V & A. Check it out.